Thomas and I both enjoy light dinners and shrimp is an occasional splurge in our house. 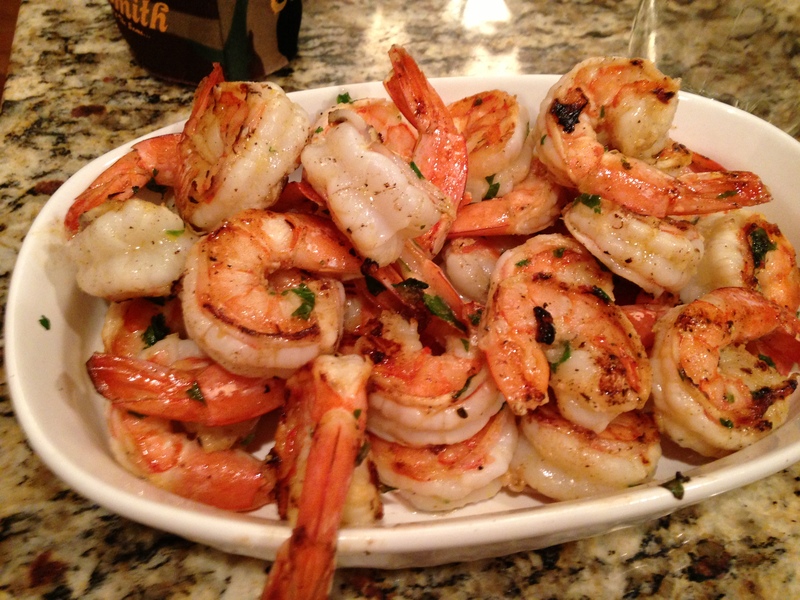 The other day I made one of my favorite recipes: herb marinated shrimp. The shrimp can be expensive–and you should really only purchase raw shrimp. The precooked bagged stuff in the freezer aisle is overly fishy and chewy. All of the other ingredients, however, are things that most people already have on hand in their kitchen. 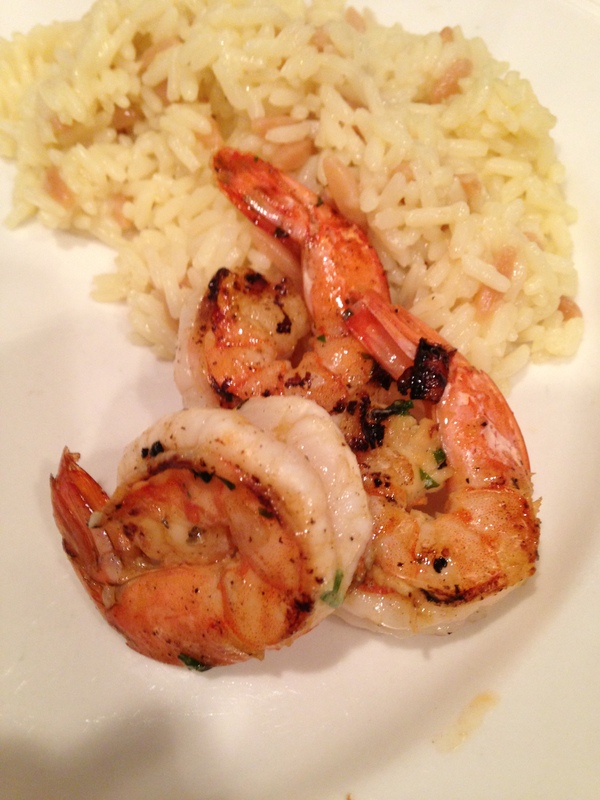 The shrimp are marinated in a vinaigrette and then either grilled as a kabob or sauteed in a pan. 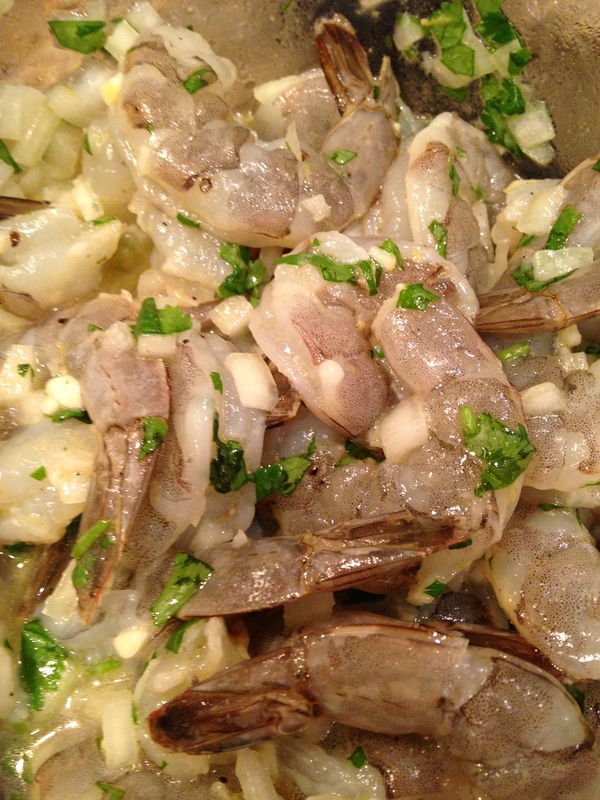 Peel the shrimp (I always but the already deveined ones since I hate doing that) and rinse them well in cold water. 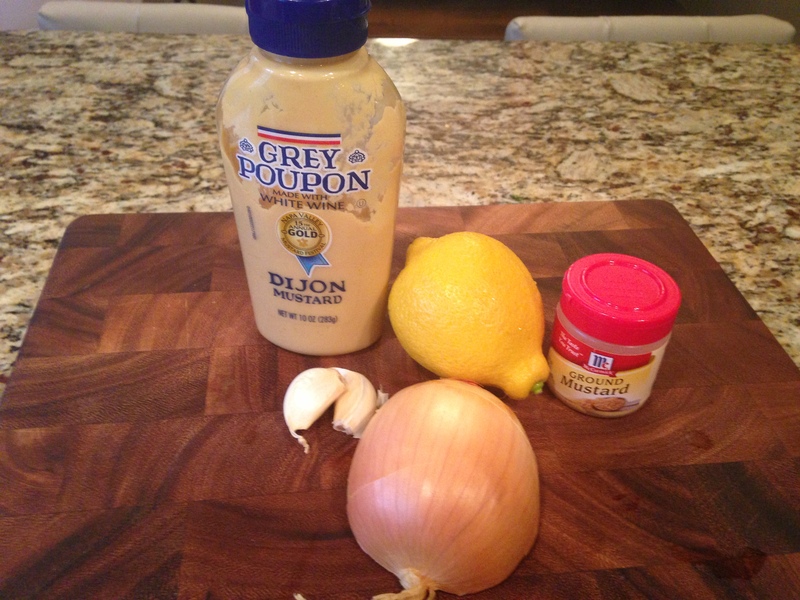 In a large glass bowl, mix together the juice of one lemon, the mustards (dry and Dijon), olive oil, and salt and pepper to taste. Once the vinaigrette is well mixed, add in the herbs, onion and garlic and mix together. Toss the shrimp into this bowl and make sure each shrimp is coated. Cover and refrigerate for at least 1 hour. You can make this in advance too–which I often do–and let it sit overnight. A former English teacher living in Stuttgart, Germany who finds some sanity and peace through cooking. I usually get the de-veined ones too (when I can)–always my first question when I buy. Peeling them is tedious enough!